Hey Alaska! Here I Am! 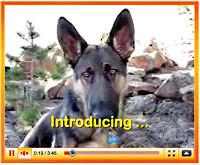 Postcards from Tripawds Spokespup Wyatt Ray. 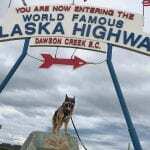 See how a Tripawd German Shepherd stays cool and has fun in the North Country of Alaska! Three legged Shepherd Wyatt guards his Arizona desert property against Gregory the Peccary.